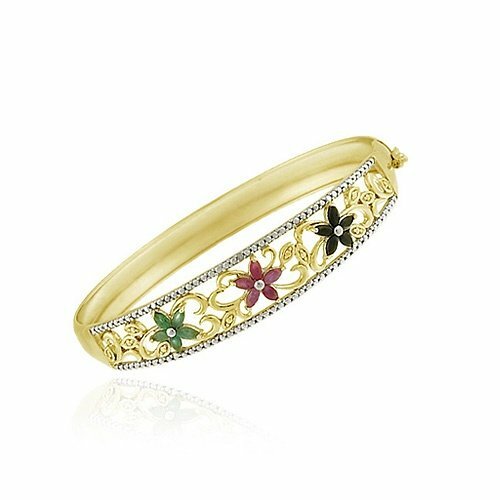 This bangle bracelet features marquise shaped ruby, sapphire and emerald stones forming flowers on the top of the bangle among a filigree design of its vines and leaves. There is a single diamond set among a pave pattern on the bangles border. It is crafted of 18k gold over sterling silver and secured with a box and safety clasp. Total gem weight: 1.61ct.